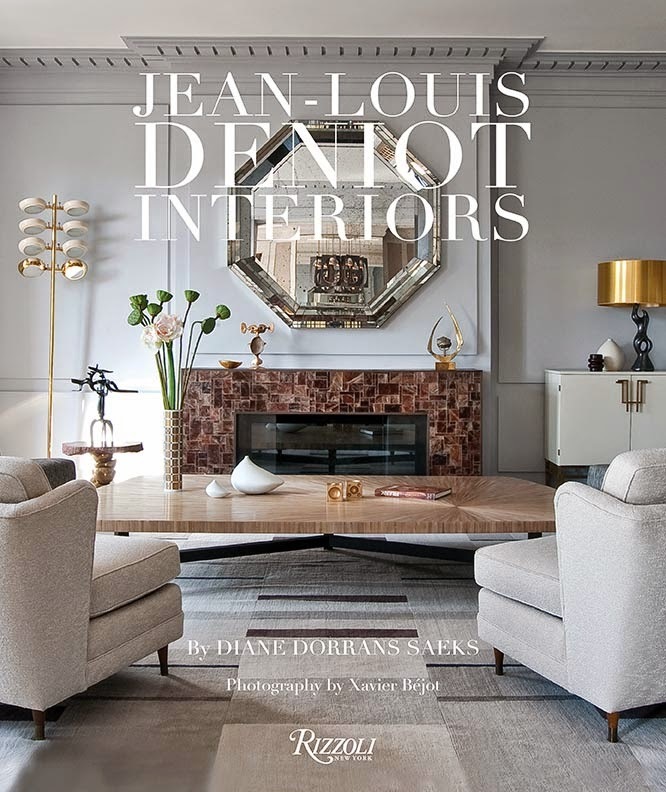 From the Land The Architecture of Backen, Gillam & Kroeger by Daniel P. Gregory and with a foreword by Diane Keaton, will be published in October by Rizzoli. This is not a review. 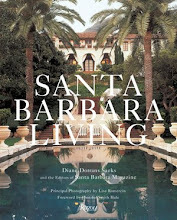 It’s a preview of the book, and a look at unpublished photos of Howard’s recent work. I’ve also included some inspiring comments from Howard Backen—from a recent interview I conducted with the legendary architect. These are words to live by. 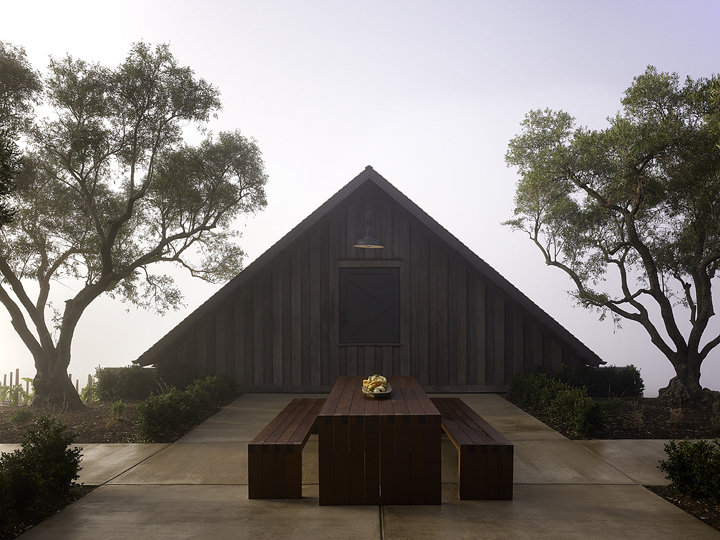 Howard Backen has made his long career determined to keep his buildings simple, honest, and in harmony with the land and the California farm building vernacular. The houses, wineries, hotels and restaurants, shops and galleries he has designed over the last three decades have made Howard Backen one of the most admired and influential architects in the U.S. today. In the Napa Valley, Howard Backen is known simply as ‘Howard’. 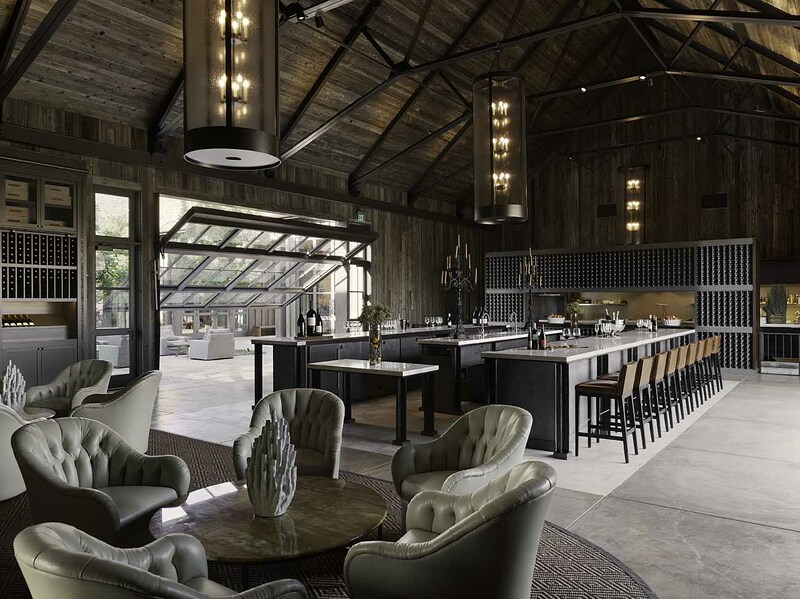 Everyone knows him, and has dined in the restaurants he’s designed, sipped in the wineries he’s designed, and slept in the hotels he’s shaped and designed. 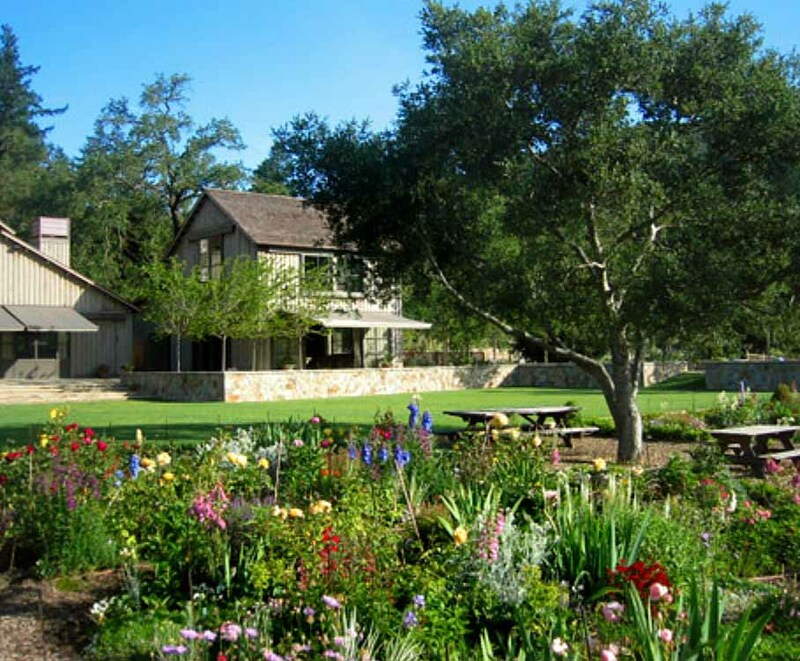 Howard is considered a blessing to the Napa Valley and Northern California. He created the local style—never flashy, always easy on the land, and pleasing to the eye. 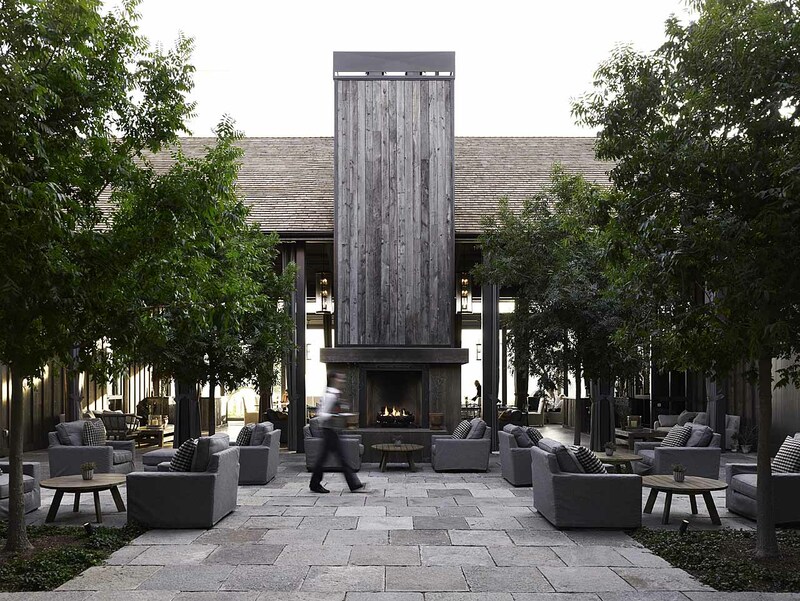 His materials—stone, timber, concrete—enhance the landscape and live well with the rugged trees of the region. I’ve even heard him called ‘Saint Howard’, though never in his presence, and always with a little twinkle. Sit down with me for a brief chat. “My interests were developed early in my architectural studies at the University of Oregon. I was highly influenced by a number of books on architectural history; among them were the writings of Vitruvius (‘10 Books of Architecture’ by Marcus Vitruvius), a Roman architect who wrote in the first century B.C. ‘The Age of Humanism’ by Richard Wittkower published in 1949, was also influential, along with ‘Towards the New Architecture’ by French architect Le Corbusier in 1960, as well as numerous other architectural history books. 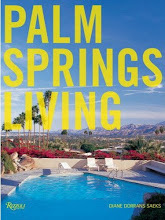 Other books of interest were written by architectural scholars and some by architects. I also read many articles by Colin Rowe, a professor at Yale University in the 1960s. “In ‘Towards the New Architecture’ by Le Corbusier he wrote that there are three reminders to architects: 1. Mass 2. Surface and 3. The Plan. He stated that mass and surface are the elements by which architecture manifests itself and that mass and surface are determined by the plan. The plan is the generator. The surface of a building is a wall with holes for windows and doors—holes that can be the destruction of the form if not used properly. He also wrote that the plan requires the most imagination. “The plan determines everything,” Le Corbusier said. The plan of a building can be simple or complex and must proceed from the inside to the outside, the exterior being the results of the interior. Long before the concepts of living with respect for the land became popular, Howard Backen was distilling the simple Northern California barn and historic farmhouse aesthetic for houses and wineries. He uses simple wood and concrete. He respects the heritage here. His architecture was ‘eco’, sustainable, and environmentally prudent five decades ago. Howard Backen is a longtime collaborator with Bill Harlan (of Meadowood and Harlan Estate fame) and has designed and conceptualized all of the structures for wineries, a residence, the resort, and The Napa Valley Reserve over the last several decades. 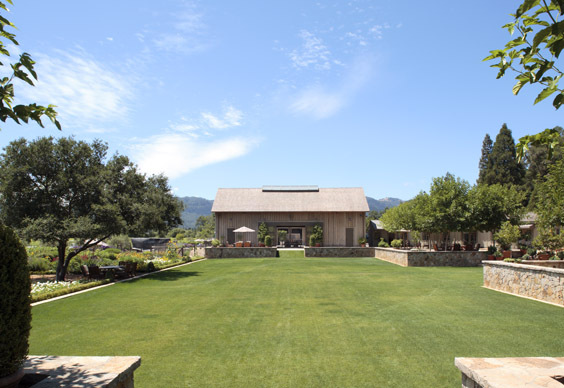 The Napa Valley Reserve, the ultra-private, invitation only wine club in St Helena, was founded by Harlan for a unified group of like-minded individuals who are passionate about wine and appreciate the camaraderie of our club culture. The club (despite its extremely high-profile and accomplished members) is very low-key, carefully keeping The Reserve discreet and under the radar. 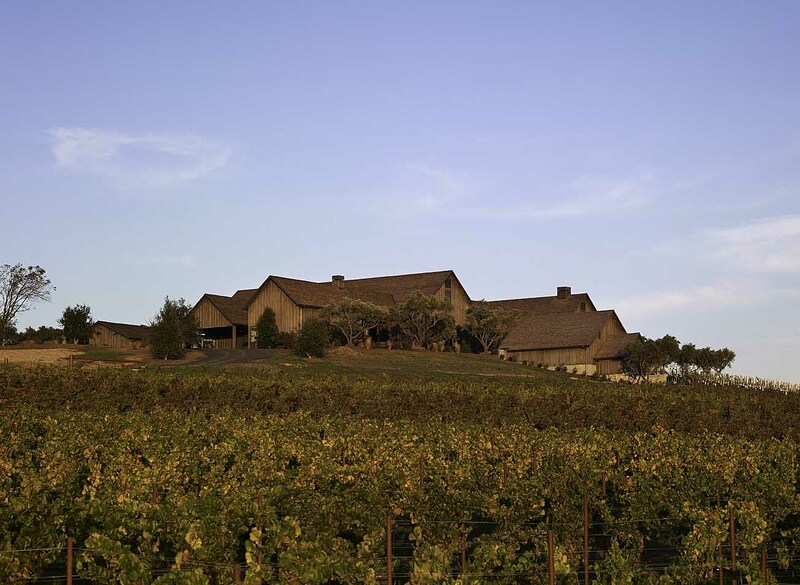 Equally, the buildings at The Reserve, under Backen's strict eye, look more like a cluster of classic farm buildings than a setting for wine education and celebrations. 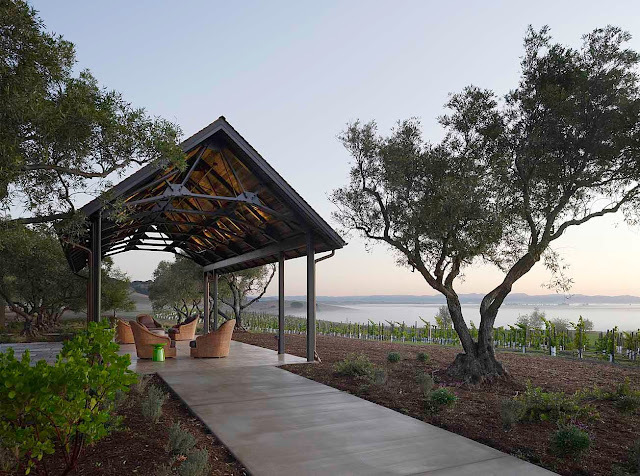 California is fortunate, indeed, that Howard Backen, Jim Gillam and their many talented associates, have been commissioned to design houses in all the most beautiful settings, far beyond the Napa Valley. Gary Friedman, head of Restoration Hardware, has been working with Backen for the design of the new RH galleries in Houston, Los Angeles, Boston, San Francisco and beyond. A new private hotel in Florida is in the works. For each, Backen's firm designs utterly refined, understated, logical and elegant interiors. 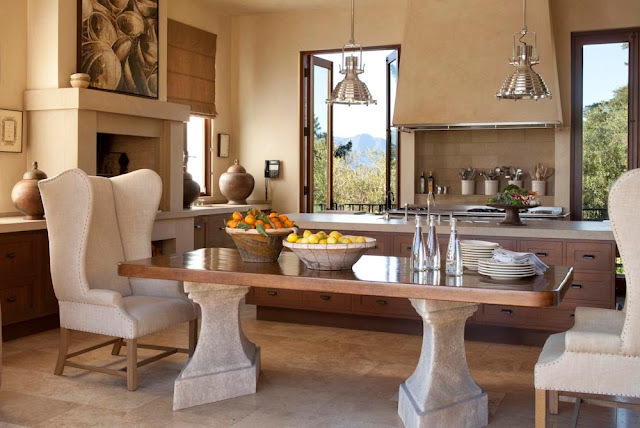 Recently, Gary Friedman commissioned Backen and company to design a new house for him and his family. It's perched on an 'impossible' very narrow and steep hillside site with grand views of the Golden Gate Bridge, San Francisco Bay, Sausalito, and even the Pacific Ocean beyond the bridge. 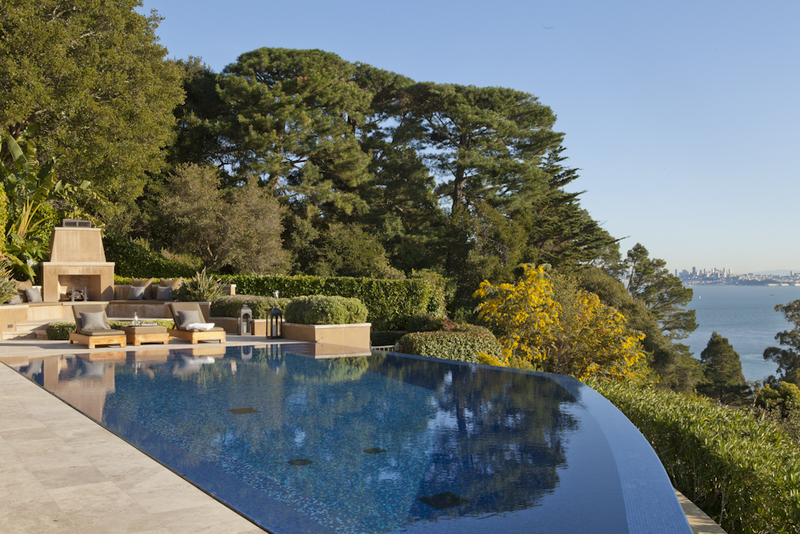 With its discreet Howard Backen-designed architecture, lush landscaping, and infinity pool, the house offers Friedman, his family, friends, and staff a splash of glamour just half an hour from the city and ten minutes from Restoration Hardware headquarters in Corte Madera. 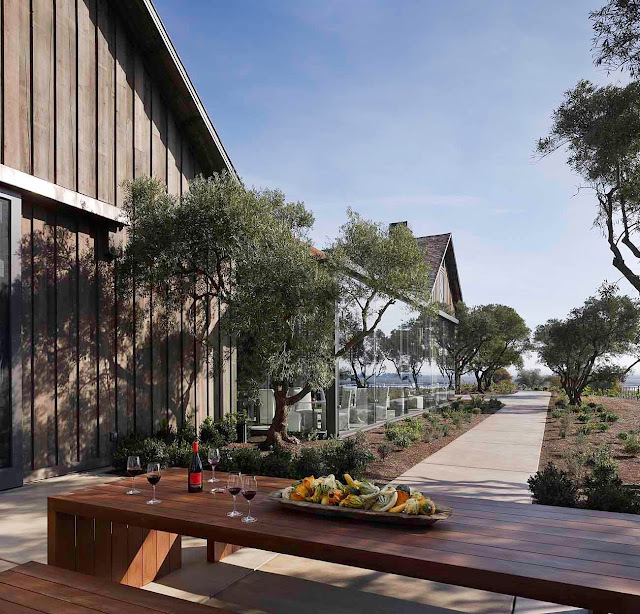 “I’m an early riser, so my favorite thing is to walk out onto the terrace and watch the sunrise,” said Friedman, relaxed, tanned, and dressed head to toe in Brunello Cucinelli. 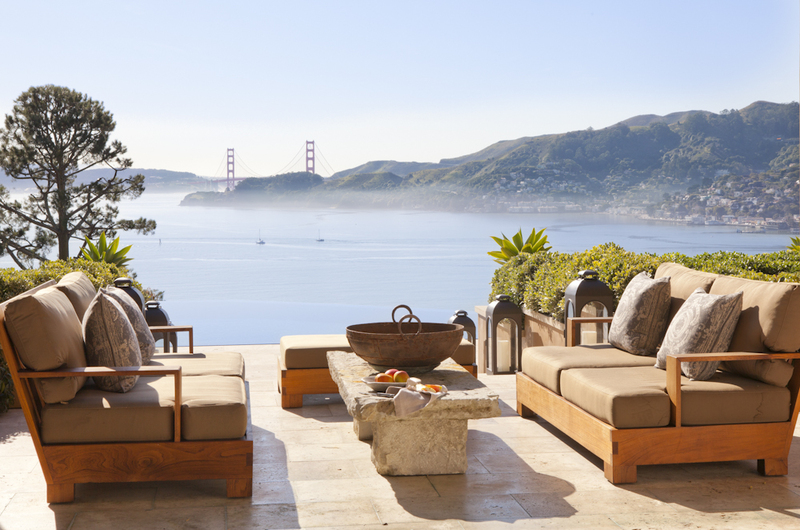 The golden sun hits the hills above Sausalito, and the magical scene looks like Portofino. It’s very escapist. 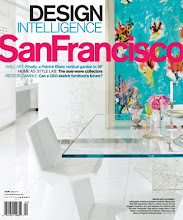 Materials are elegant Venetian plaster for walls, polished floors, along with subdued and mutable colors. 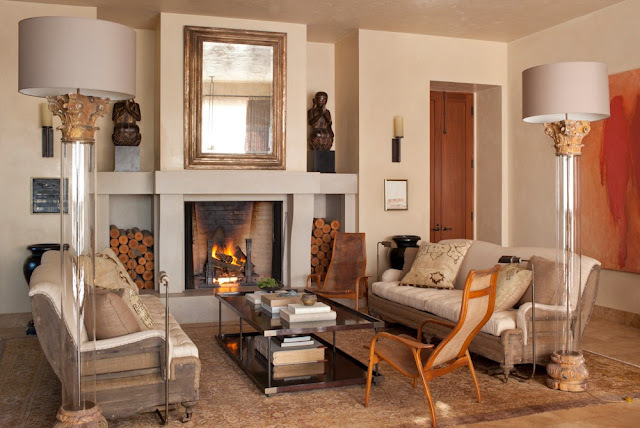 Decor--of course--is all from Restoration Hardware, along with vintage pieces, antique Chinese chests, a painting by Nathan Oliviera, and collections from Friedman's travels. This is Backen and his team at their best. All images used with specific permission of the photographers. 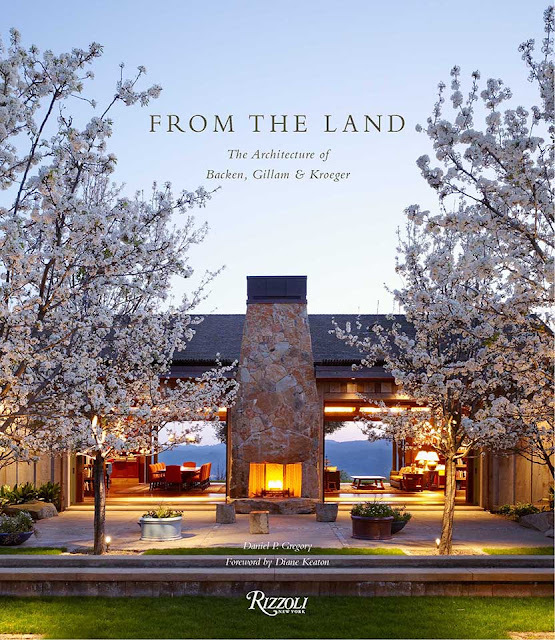 ‘From the Land’ (Rizzoli) features 38 properties ranging from Los Angeles residences, hotels, hillside retreats, farmhouses and wineries in the Napa Valley, as well as hilltop weekend houses, seaside retreats, and lakeside hideaways throughout California. Warmth and informality pervade the firm’s work. 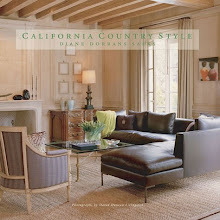 California landscapes and seascapes and nature itself play a role that is complementary and integral with the work. 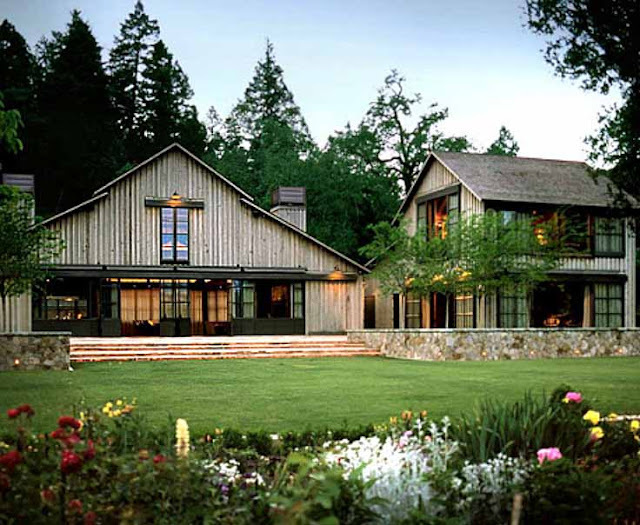 Backen, Gillam & Kroeger Architects was originally formed in 1996 as Backen Gillam Architects by principals Howard J. Backen, FAIA and Jim Gillam, AIA. The firm has two offices, one located in Sausalito near the San Francisco Bay waterfront and a newly designed office in St. Helena adjacent to the restaurant, French Blue. Principals Loren Kroeger and Elizabeth Mitchell along with the firm’s 70 employees, bring a wide range of experience to Backen, Gillam & Kroeger projects. This experience enables the firm to provide clients with the very best in design and project management in a number of specialty building types, including private residences, resorts, restaurants and wineries. 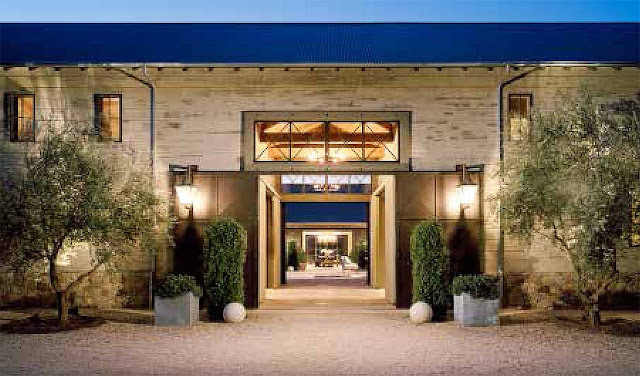 In the seventeen years since its opening, the firm has designed over 50 upscale homes, 40 wineries, seven major resorts, 20 restaurants, a new line of retail stores for RH (Restoration Hardware) and Williams Sonoma Home, an equestrian center, The Napa Valley Reserve (a private members-only vineyard and winery which has approximately 400 members), and the Performing Arts Center for St. Helena, CA. 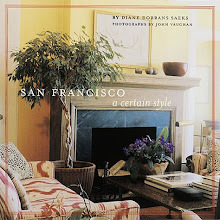 Hi Diane, thanks for sharing this lovely essay on Howard Backen and his work. 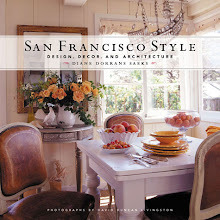 I will have to look for the book as I am trying to branch out and learn more about other architectural and decorating styles that don't immediately seem "my style". 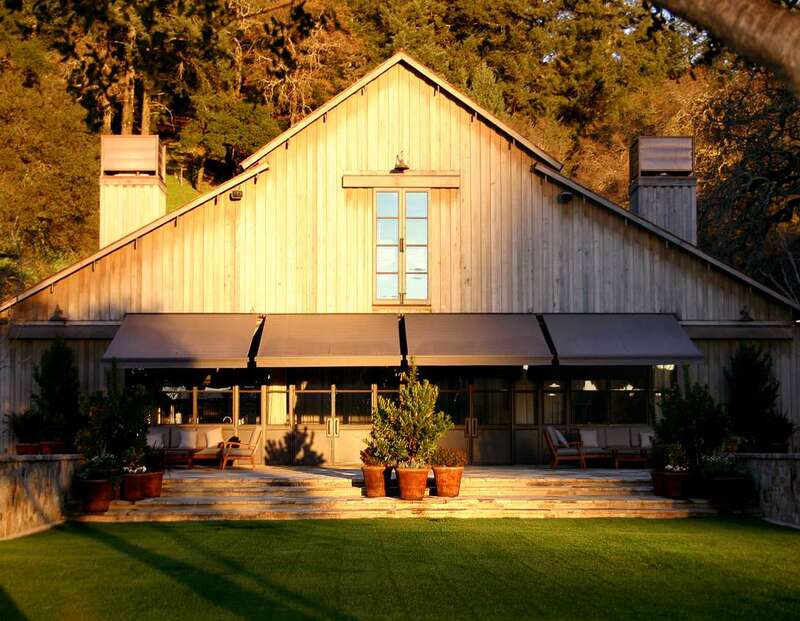 His tastes are more contemporary than mine, but I really do believe there is something to be said for a home that is somehow more integrated with its landscape, a bit more honest somehow, in style and materials. 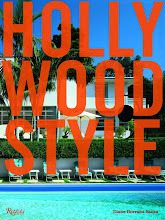 In other news, I just picked up the Ann Getty book (speaking of different style!) yesterday and hadn't realized you'd written it! Nice to see your name on the cover. I came home and told David about you. I have just begun to read it, as the first few passes were about admiring the photos and now I will admire your beautiful phrases. I do recall now you blogging about it but I think I'd forgotten you wrote it!! 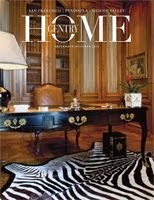 I also saw your photo in a magazine not long ago - was it House Beautiful I think? One of those party photos - you were wearing black I think but a bright shawl - green?! I thought, there's Diane! And felt very connected to the whole scene. haha. You are so lovely to write. Yes...correct...Howard Backen and Ann Getty are worlds apart...and both wonderful and talented and specialized and focused. 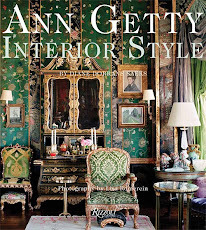 My Ann Getty book has been very successful I am pleased to say, and I'm happy it reached Canada. 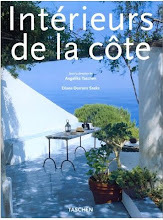 I was in Paris over the summer...and was pleased to see it in book shops there. Amazing and imaginative: beautiful work! I wanted to tell you how much I enjoyed this post. 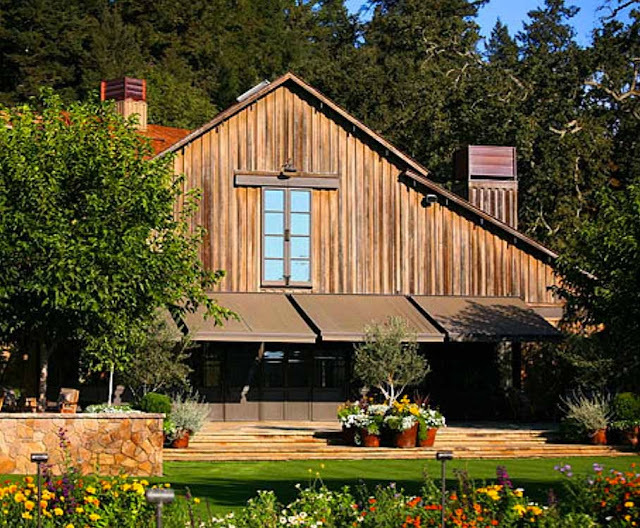 The first thing I noticed when looking at the photographs included here was the incorporation of California vernacular styles -the rural barns and their rooflines and board and batten facades. I thought this was successful in creating a sense of place. The next thing I noticed was the massing of these forms to adorn a hilltop, and executed with a powerful clarity. It was of real interest, then, to read in the text Howard Backen's influences -architectural theory and principles from antiquity to the Modern period. 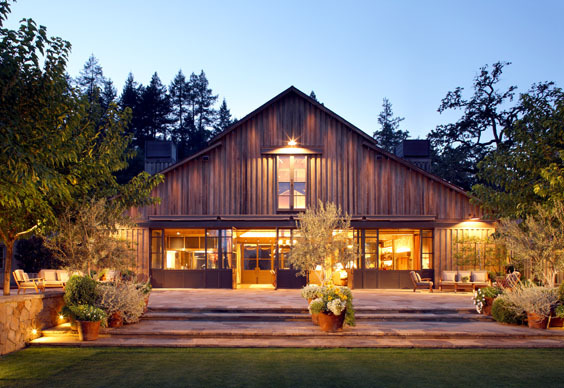 These projects show, to me, how a grounding of these principles create designs of excellence, no matter what the style. I have been enjoying all of your posts. Howard Backen is so influential now--and has been at work for 5 decades, with his best work to come, no doubt. Yes, you will see his words of wisdom...'an axis needs a destination'...for example. Note how he states that the interior dictates the exterior...meaning placement of windows and doors especially. 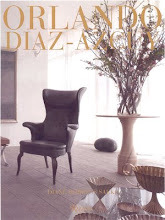 In a few concise words...he tells you everything you need to know to design intelligent interiors and exteriors. 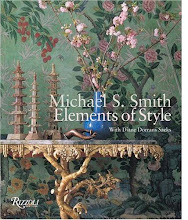 It is fascinating to see the range of his work--but with guiding principles of simpilicity and order...order...and appropriateness to the use and setting. I admire also that he has worked with some clients--Rudd, Harlan--for decades on many buidlings. This is such an endorsement of his ideas, his quiet personality, his finished work...the enduring nature of his design. Such inspiration! I'm wondering if Backen worked on Harlan's Meadowood as well. I did somme artwork for them and stayed as well. It was heavenly. The Meadowood project was his first with Bill Harlan. It's a fantastic hotel/resort and I love staying there. The Backen book is great...and I think some early projects were not able to be included. 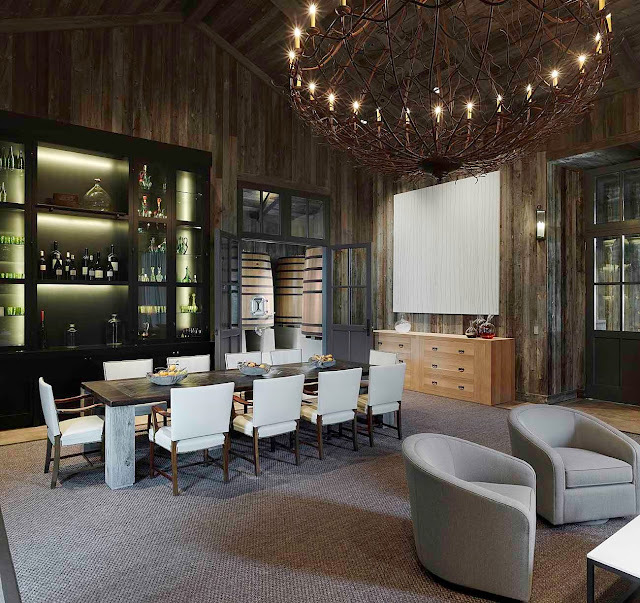 Their firm has so many ongoing clients--Restoration Hardware, for example, and Harlan--that they always have projects lined up for years. I'm so pleased with the Harlan effect and the Backen effect on the Napa Valley. 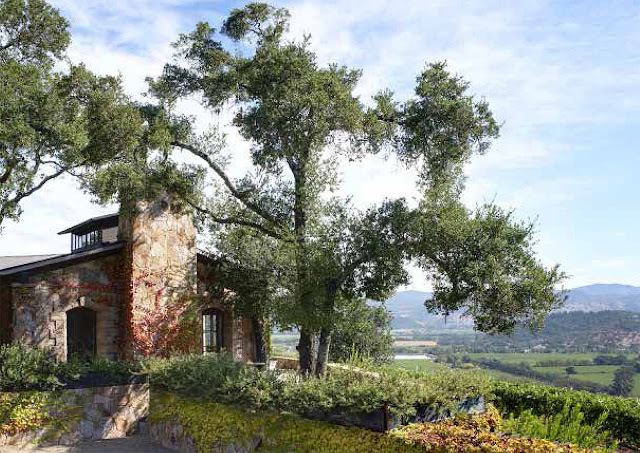 Their influence has been so great in setting a low-key and unobtrusive tone in the Napa Valley...and now everyone is clamoring for Harlan wines, of course, and everyone wants to work with Howard. Great post with so many deals and perfect spacing. I´ve always fantasized about living in Napa Valley one day, owning a small farm or vineyard..you know, enjoy the crisp mornings and blue skies. I think it´s a different kind of life there, connected to the the earth and less complicated somehow. 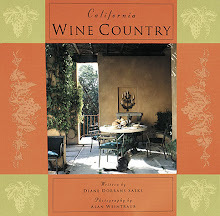 And I feel like Howard Backen is paying tribute to this amazing Napa lifestyle with his works. I love how he brings outdoors in.